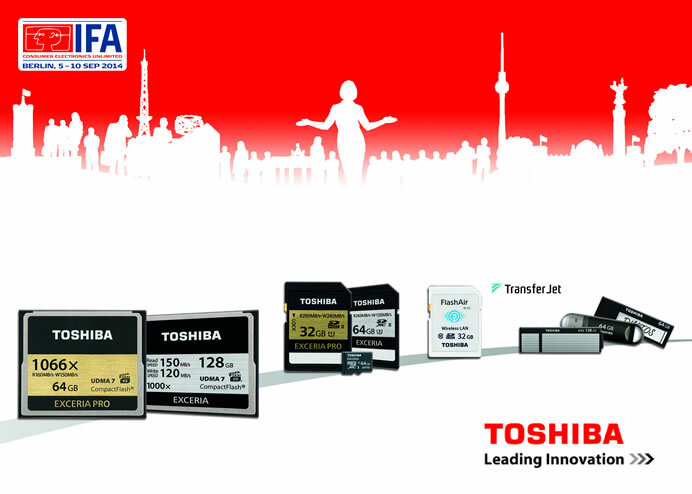 Toshiba will showcase its latest memory and data storage products as well as high-speed wireless accessories at IFA 2014. 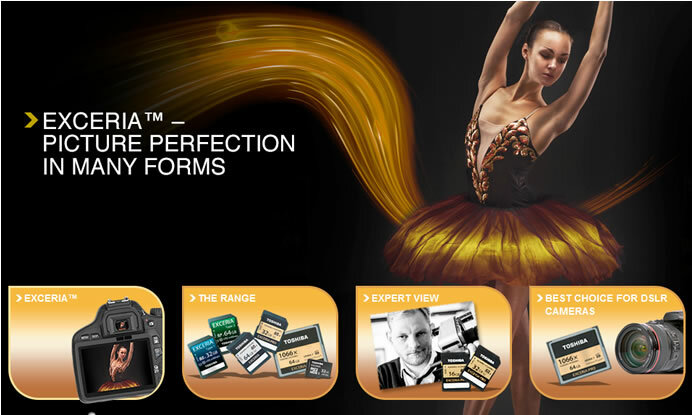 Highlights will include the ultra high-speed SD cards for 4K video recording and high-speed photography as well as demonstrations of the revolutionary TransferJet wireless data transfer technology. High-speed SD cards with integrated Wi-Fi capability and high-speed USB3.0 memory sticks will also be on display. TransferJet technology enables cable-free point-to-point data transmission at speeds of up to 560Mpbs when devices are in close proximity. The Toshiba EXCERIA PROTM UHS-II SD cards boast write speeds of 240MB/s, enable continuous high speed digital image capture and remove the bottlenecks caused when photographers take bursts of still images or record 4K video. Toshiba’s FlashAir SDHC cards incorporate embedded wireless LAN functionality into an SD card and support peer-to-peer transfers. The latest 32GB FlashAir not only doubles the capacity of the cards, it also enables easy and flexible sharing of photos and increased data transfer speeds. Data on the cards is also accessible from mobile devices running both Android and iOS.